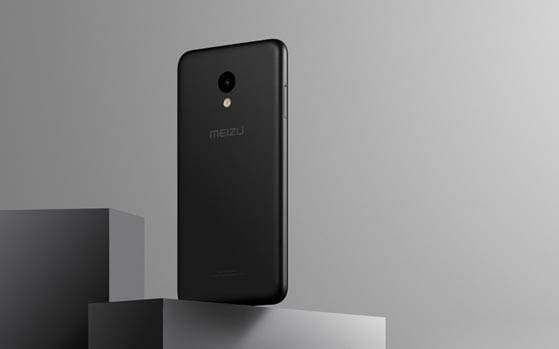 Meizu, a Chinese consumer market firm, decided to enter budget segment with model M5 after not having much success with their last offering, Meizu M5 plus, which was priced at 12999/- . Meizu M5 is already available in Chinese market since October 2016 at a price of 700 CNY which roughly translates to 7000 Rs. After showing its presence in Italy and Russia, pricebaba confirmed its launch in Indian market in next few weeks. Considering its price in China, it should be launched in 7- 8k segment which is already crowded by the likes of Redmi 3s, Lenovo K5 and many devices from Coolpad. M5 boasts of a larger 5.2 inch 720p display along with a complete polycarbonate body (which can be a drawback considering dominance of metal body phones). It also provides a front mounted fingerprint sensor, much like an older variant M3s, which is claimed to launch the phone in less than 0.2 seconds. The phone’s processing is handled by a 1.5GHz octa-core MediaTek MT6750 processor along with a 3,070mAh battery to power it. Cameras are also quite impressive with a 13 MP f/2.2 rear and 5 MP front sensor. PDAF is also supported with a dual tone LED flash for better skin tones. In China, this phone was launched in 2 variants: 2GB RAM/16GB memory and 3GB RAM/32GB memory with support of expandable memory. Details about Indian variants has not been revealed yet. In its official launch the device was available in 5 color variants: Matte Black, Mint Green, Blue, Champagne Gold and White. Meizu M5 will surely be an impressive offering if company decides to keep it under 7k mark which is possible considering it’s a relaunch of a 5 month old model.